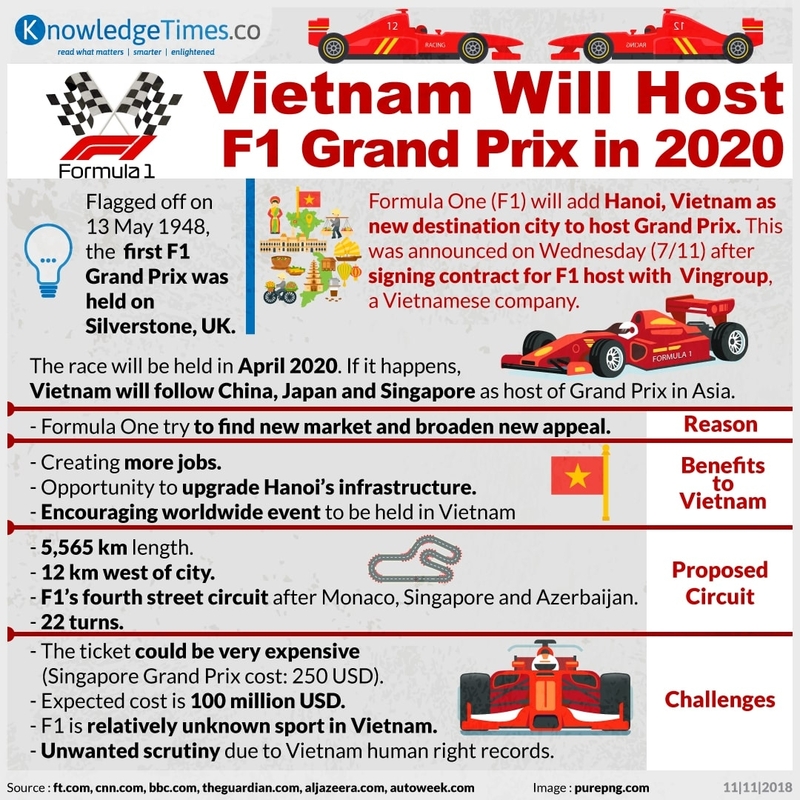 Vienam will host Formula One (F1) Grand Prix in April 2020. Currently, only three Asian countries that host this prestigious race such as Japan, Singapore, and China. This highlights Vietnamese progress and their attempt to create positive appeal to their country. Will your country host the next Grand Prix?